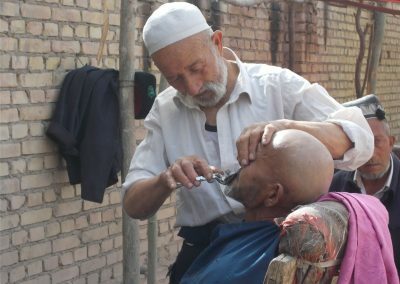 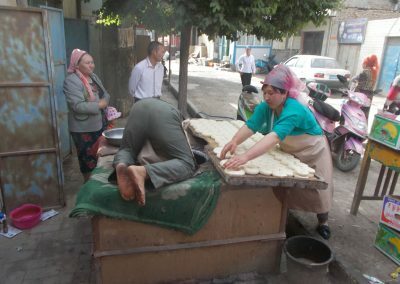 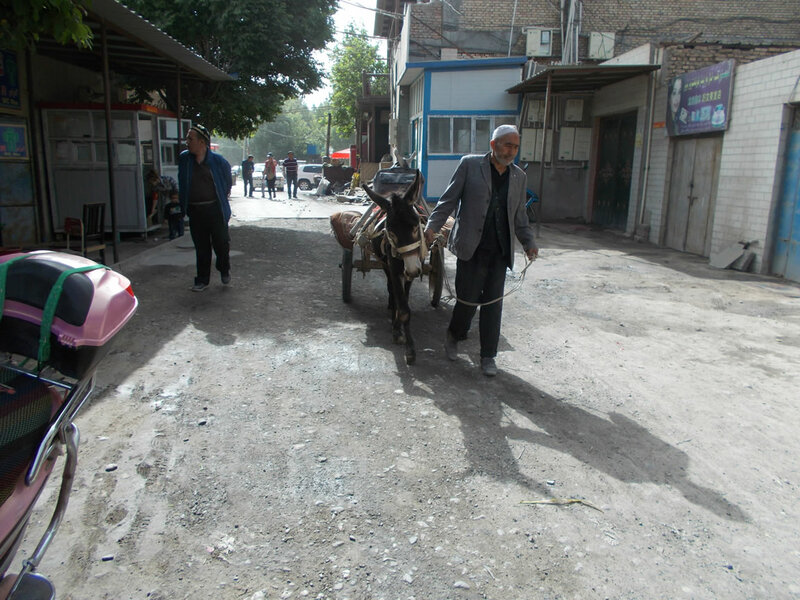 We left Kashgar with a full day’s driving ahead of us climbing to altitude of 4000m (12000 feet). First stop was Upal Village market. 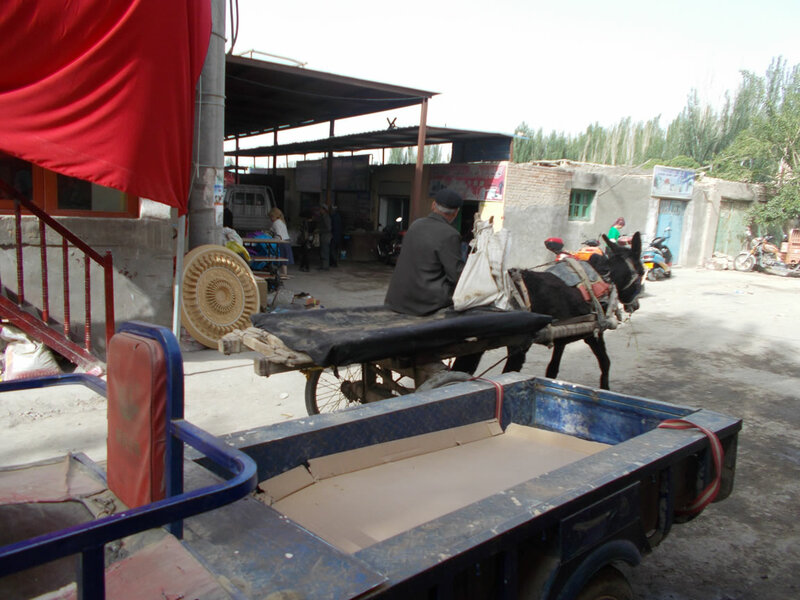 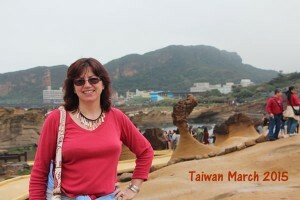 It was a very dusty traditional market with people bringing in their produce by donkey. 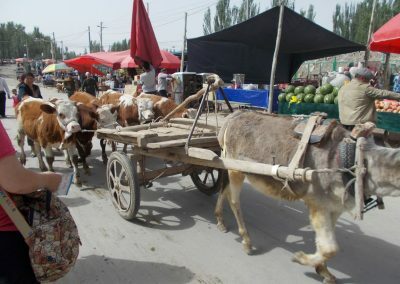 The women were dressed immaculately as always, with colourful dresses sporting the Kashgar region peacock design and bright bejewelled high heeled shoes – selling animals and produce in thick dust… The men were wearing the traditional 4 corner hats but more and more are wearing the ‘bonnie and Clyde style’ hats. 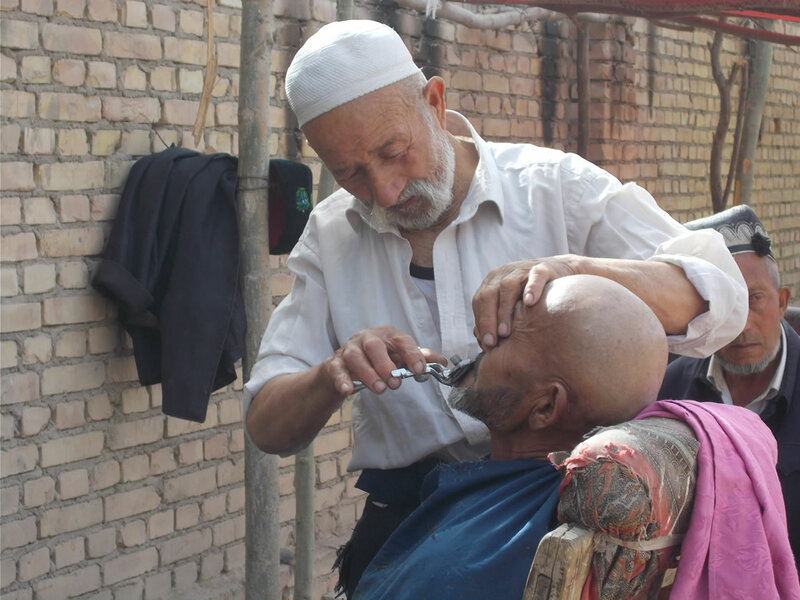 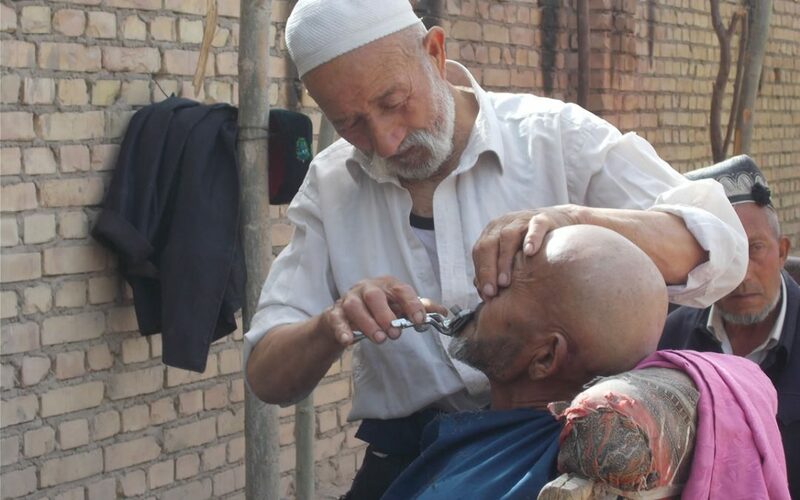 We had a selfie session with a barber and watched him using his cut throat razor. 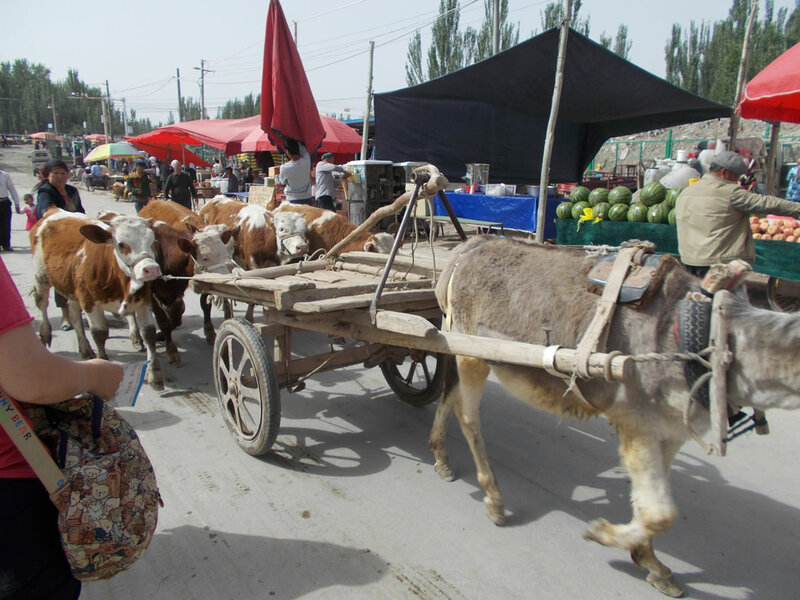 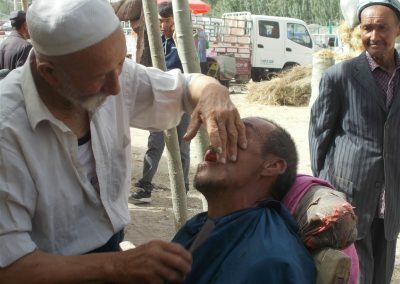 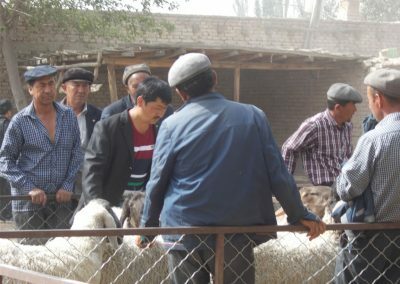 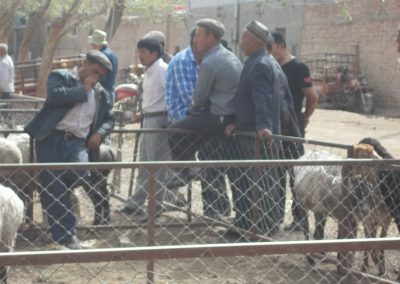 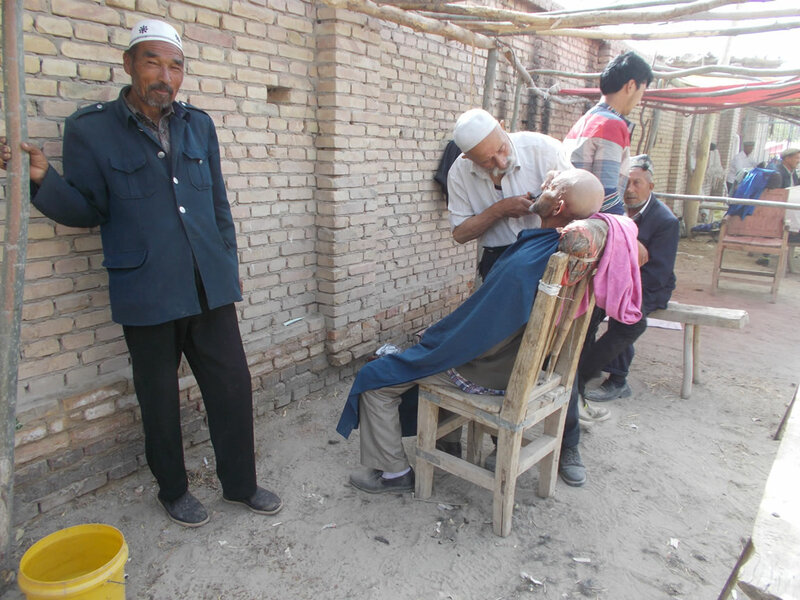 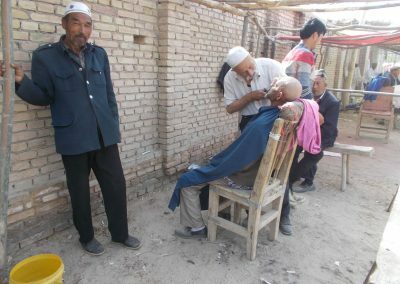 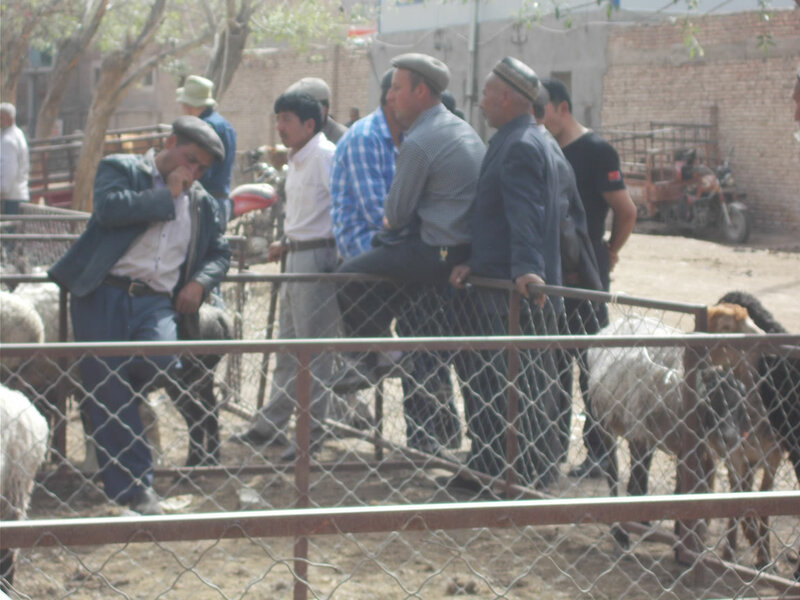 Some of the animal traders had been at the Kashgar animal markets yesterday and were on-selling mainly skinny sheep to be fattened up for Ramadan in 3 months.